Utile collaborated with Reed Hilderbrand, a landscape architecture firm, on a visioning and master plan study for the DeCordova Sculpture Park & Museum in Lincoln, MA. The primary goal was to increase the amount of open space for the display of outdoor sculptures. 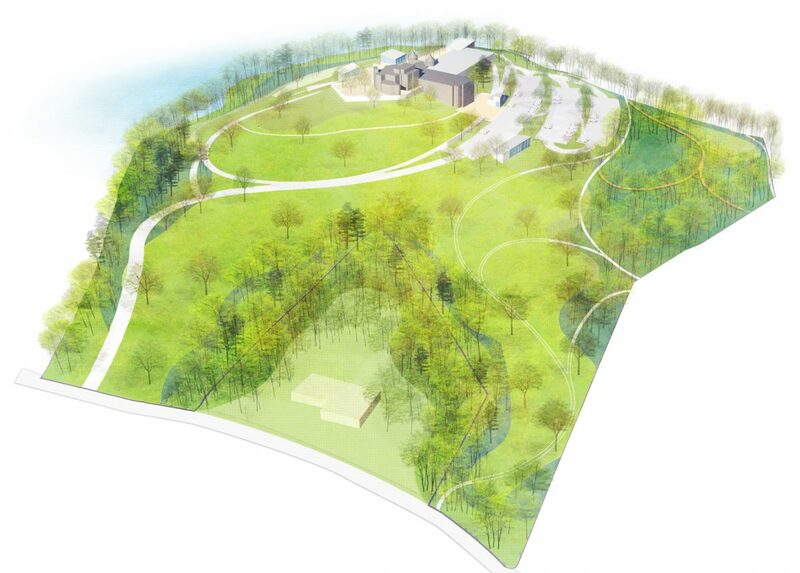 The plan also aims to increase the apparent size of the property by opening up views to adjacent conservation land and Flints Pond and consolidating the DeCordova’s program, now housed in a several outbuildings into a consolidated new addition to the main building. 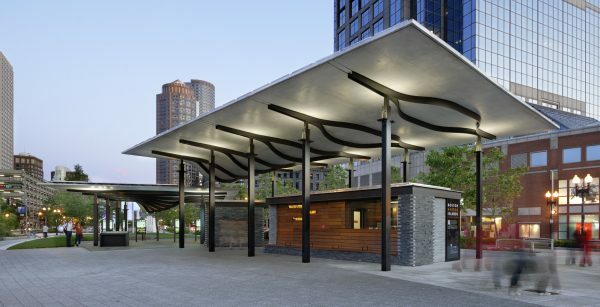 Utile worked closely with DeCordova and Reed Hilderbrand to develop the criteria and goals and implementation plan to meet their specific programmatic needs. 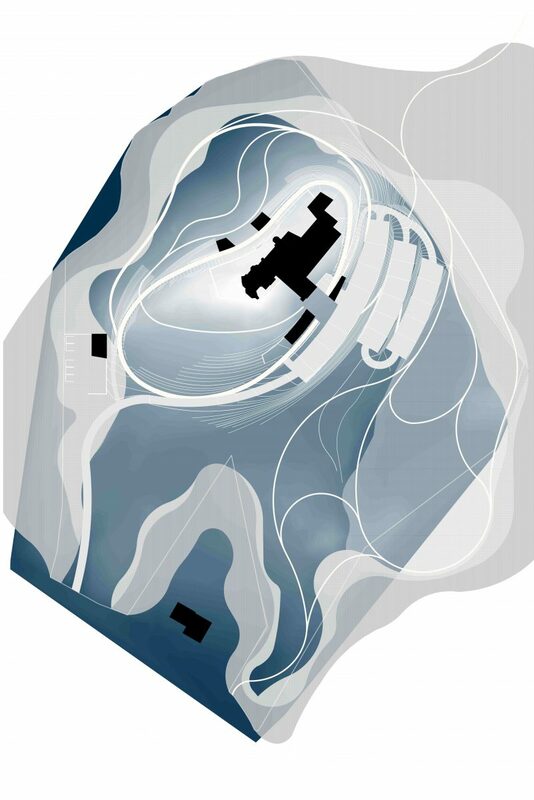 As a result, the design team defined the goals of the project: 1) simplify and clarify the visitors’ arrival sequence; 2) consolidate all of the administrative functions into one location; and 3) locate the visitor amenities at the top of the hill to take advantage of distant views while relieving the midland for sculpture. 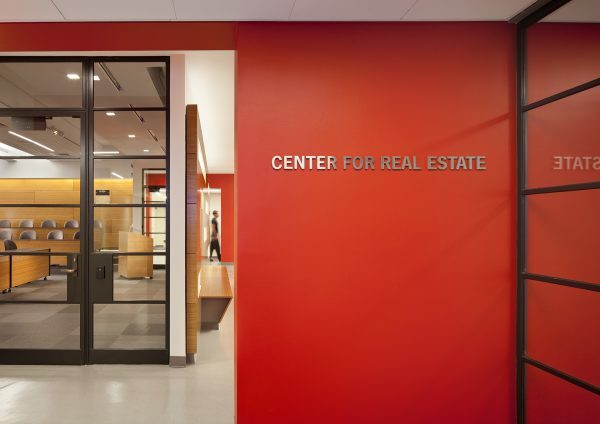 The recommendations of the project were unanimously approved by the Board in 2013. 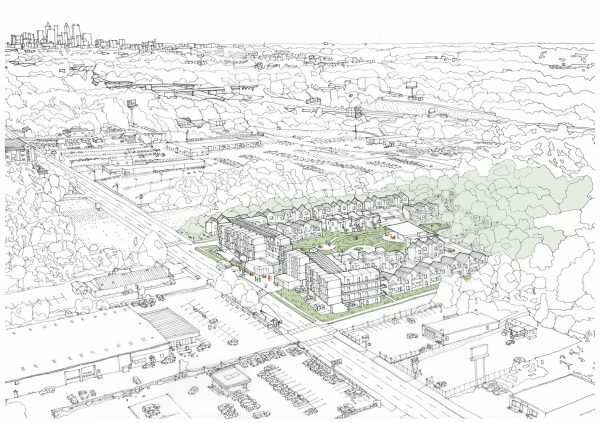 The proposed plan consolidates all of the buildings on the hillside and relieves the midland of built structures. Existing plan highlights the distribution of buildings and parking on the site, limiting locations for outdoor sculpture. 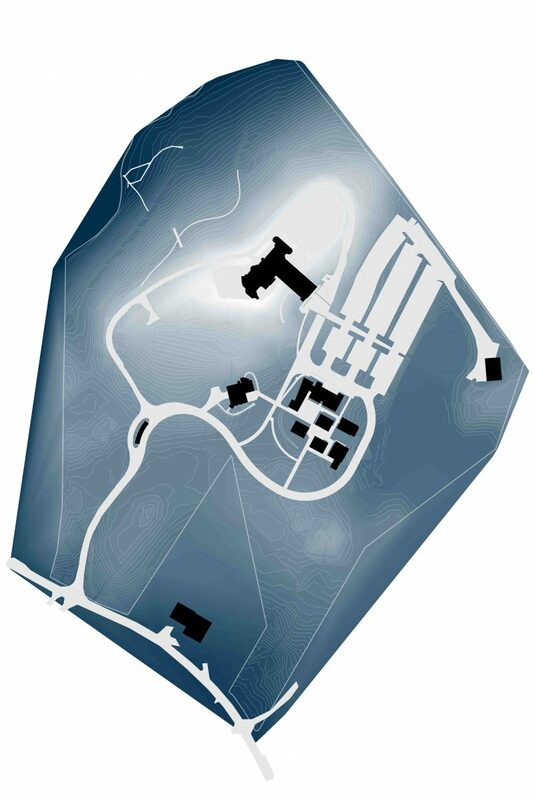 Program distribution (above, right to left) takes advantage of the hillside topography, ensuring that the public spaces and amenities optimize views and daylight.